At 10:53am this morning, Bono talked to KROQ in LA about U2’s new album Songs of Innocence. It was all over too quick at 11:02am. KROQ played “The Miracle (of Joey Ramone)” before Bono called in, and he was SO excited to hear it played on the radio. It was like it was the first time he ever heard his song on the radio. It was so cute! Bono said back in the early days his voice was crap and sounded like a girl. 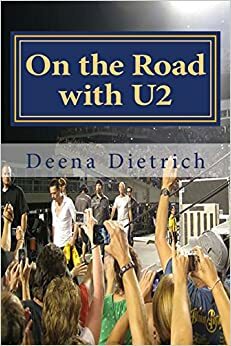 The audience would shout “more punk in the monkeys.” This hurt Bono’s feelings, but he remembered Joey Ramone sounded like a girl, so he knew he’d be ok.
About the new albume on iTunes, Bono said he’s very pleased with the release and over 30 million people have heard it – that’s more than The Joshua Tree he points out. It doesn’t mean they like it, he clarified, but at least they heard it. 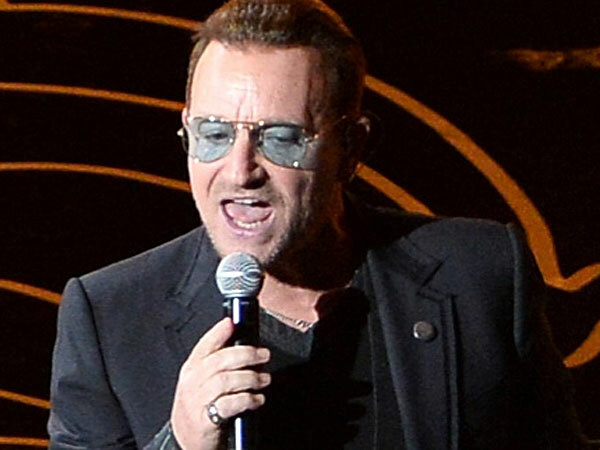 Bono jokingly mentioned that we may have heard online that some people were upset with how they released it. Bono said it was very punk rock of U2 to annoy people and get in their face. When asked about the next U2 tour, Bono answered there will be a tour next year and maybe some shows before that. Bono said these songs were meant to be played acoustically. Bono said maybe U2 will do an acoustic session with KROQ and indicated that KROQ has always been the most important radio station for U2. Click here to listen to Bono’s full 8 minute interview. And for all your U2 news, please follow me on Twitter @OnTheRoadWithU2. AWESOME… thank you. I am loving the new album, what I have heard of it…. and I too don’t wear under. you’re welcome. thanks for reading. glad you liked it. yes i’m loving the new album too!